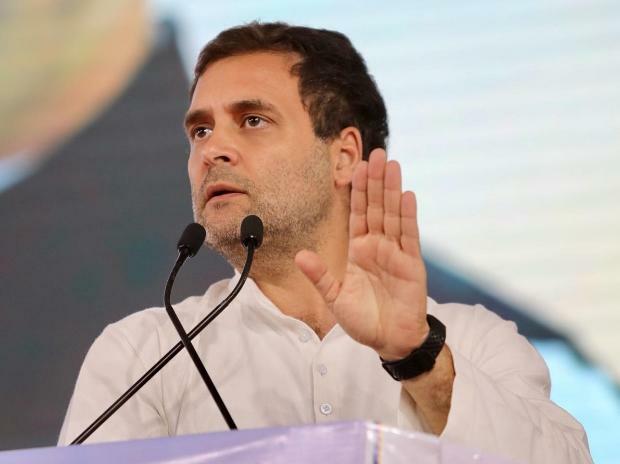 Congress president Rahul Gandhi on Thursday said his party will free new businesses of regulatory permissions for the first three years and scrap a controversial tax on start-ups if it's voted to power. "Don't bother about anything—there is no permission you need. Start your business, get to work," he said in an interview to PTI. Gandhi two days ago promised to give cash handouts to India’s poorest families if voted to power, seeking to energise his campaign against Prime Minister Narendra Modi’s BJP in Lok Sabha elections that start on April 11. "For the first three years of setting up a new business, we are going to free you up from red tape. You will not need to ask for permission for anything," said Gandhi. He promised to scrap the “draconian and ill-conceived” angel tax, which is levied on investment in start-ups at a maximum rate of 30 per cent. "I've made that commitment and it's going to be done." Gandhi said this "powerful idea" in discussions with several entrepreneurs. "We said, we believe in you; we trust you, and so for the first three years of setting up a new business, we are going to free you up from the red tape". The Congress president said another idea that came up during discussions with entrepreneurs was opening the banking system to young business-persons. "Why should only Nirav Modi get thousands of crores? How many jobs has he created in India? Why can't a youngster who wants to start a business, who wants to give India 2,000 jobs, get a bank loan," he said, referring to the diamond merchant who is the main accused in the Rs 14,300 crore Punjab National Bank scam. Gandhi said his proposals be included in the Congress's manifesto early next month.